Many software companies, developers, and legal eagles have been watching Oracle’s and Google’s face-off over the question of whether Google’s Android software infringes a copyright Oracle acquired through its purchase of Sun Microsystems. 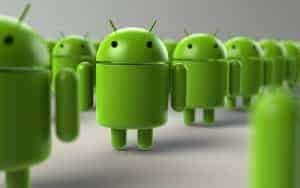 After 6 years of legal wrangling, a jury recently found that Google’s Android system does not infringe Oracle’s copyright in Java code because its use of certain portions of that code is “fair use.” This means that the jury did not have to consider Oracle’s claim that Google owed it $9 billion in damages for copying portions of Java that are application programming interfaces (APIs), without taking a license. As this case wound through the courts, we’ve kept you up to date on some significant legal and practical issues the parties raised. For instance, the question of whether application programming interfaces (APIs) should be copyrightable at all has been a hotly debated topic throughout this case. In the first trial in this case, the district court judge–who taught himself how to program using Java code in order to better understand the technology–ruled that Google had copied portions of Java but that these copied portions were simply APIs and not protected by copyright law. The Federal Circuit, an appeals court, disagreed, and concluded that the “structure, sequence, and organization” of an API is in fact protectable by copyright. The Federal Circuit then returned the case to the trial court to determine whether Google’s copying of Oracle’s Java code was, in fact, an infringement of Oracle’s copyright. Another important question the courts and then the jury considered, is: if APIs are copyrightable, can another party use those APIs without a license in the name of “fair use.” In the second trial, which was held last month in San Francisco, a jury found that Google’s use of the API code was protected as “fair use.” Fair use is a determination that the material in question is properly protected by copyright but that an otherwise unauthorized use is nonetheless allowed as a matter of policy to serve the public interest. Oracle has already announced that it will appeal the jury’s decision to the Federal Circuit, in hopes of obtaining another victory in its copyright infringement claim. Join Antigone Peyton and Jennifer Atkins as they discuss the history of the Oracle v. Google case and the important issues raised by the case, including the interplay between strong copyright protections and the practical impact of this decision on developers and tech companies that use portions of software code.